Prado Regional Park Master Plan! San Bernardino County has big Supersized plans for the Prado Regional Park, which consists of about 2300 acres of land that currently owned by the Army corps of Engineers. This is the very land in which the PVMAC is located; 20 acres leased to the PMVAC by the Army Corps of Engineers. A project was started in June of 2018 to develop a master plan on how to best utilize this land to become a premier park for Southern California and include amenities and activities that will make a favorite recreation destination. All ideas are being considered including the usual park favorites such as a Pool, dog park, skate park, Tennis courts, Soccer fields, Basketball softball, walking and biking trails. But there are more grandiose ideas as well. Ideas such as a water park, rock climbing, a festival area for Music and other festivals, an amphitheater, NFL practice area, community Farm and petting zoo, zip lines, BMX track and the list goes on. There have already been 2 community workshops held to present and get feedback from the public. Some of our PVMAC board and members had an opportunity to attend and setup a booth at the second workshop on April 6th, to help promote our club and the positive impact we have had on the surrounding communities. 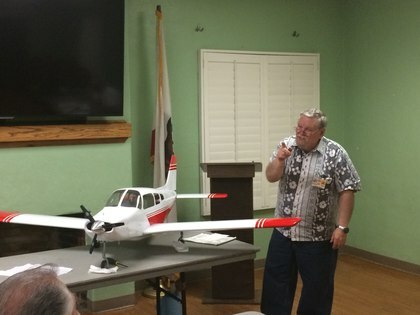 In addition to being Southern California’s premier RC flying club and a Gold Leader AMA club, we also allow the Chino PD use of the field for training purposes, are the go to field for local universities' future aeronautical engineers where they test their new designs and ideas, teach youth and adults alike how to flying, host numerous dog and kennel club weekend gatherings, and host 3-4 flying events every year, including the Toys for tots even which brings in hundreds of toys for the children of the U.S. Marines. As a PVMAC club member and frequent user of the Prado Regional Park where our field is located, We encourage each of our members to take the survey and submit feedback on how you would like the Prado Regional Park to be used. Below are links to 2 surveys, one of which is still open, and the other looks like it may open soon. I have also included the links to download the slides that were presented at each workshop, as well as a couple newspaper articles that have appeared in local newspapers, where you can and should read more about the Prado Regional Park Master Plan. The PVMAC's 2018 Scale Fun Fly has come and gone, and by all measures this event was a huge success. The photo to the left of the pilots meeting says it all. We had 62 registered pilots turn out, and although I don't have official historical stats, this has to be in the top 2 or 3 in terms of record turnouts for the PVMAC. We also had at least as many spectators. The weather was perfect, and although Friday was a mostly a bust because of the nasty wind, Saturday's weather could not be better, and the wind stayed away most of the day. Our new way of giving out raffle tickets each time you flew was a new pilots favorite and ensured there was always 5 planes in the air. We handed out 144 raffle tickets for flights that day and gave away numerous prizes. There were also 14 awards given out, and below are the results for those awards. The competition was freindly, though there was no shortage of great looking aircraft in the air. 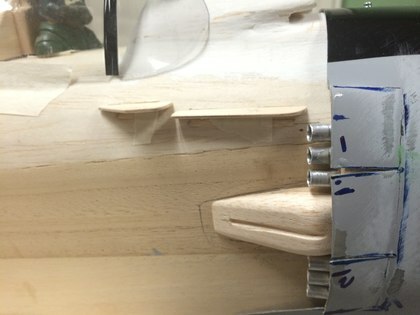 It has been a couple years or more since the PVMAC has hosted our own Scale Event, and this years turn out proves that the time was right to bring it back and folks were missing it. I dont know about everyone else, but Im already looking forward to next years event. It takes a huge effort to put on an event like this, and it couldnt have been done without the effort and dedication from our Board members. A special thanks goes out to the folks that put this event together and helped, including Lonni Morrison (His idea to have this event), Cal Orr (CD) Chuck Pozanic (Club President), Steve Parola, Tom Marcure, Larry Marsh, Scott Swirles, Mike Keys, Mark Hibbert, Ted Novak and John Maxwell. Also a huge thanks to all of the board Members' wives, who helped hand out raffle tickets, run the snack bar, Prepare food, collect landing fees, prep Pilot packs, setup chairs, tables, tents, print flyers, and the countless other things that go into preparing for an event. Here is a breif recap of the June 2017 meeting. 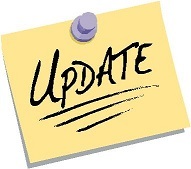 Club Membership is at 315 as of June with 23 members in attendance for June. 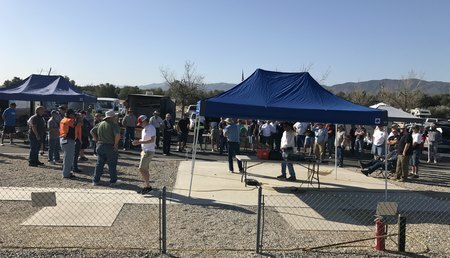 Chuck talked about the field inspection that competed by the County of San Bernardino and overall it went well. and breifly touched on the Property tax bill. Chuck reminded all members that they should be careful and watch for snakes. A couple have been spotted in the area so be on alert. Chuck spoke about people shooting guns near the field and about vandalism at the field. Everyone should be on the lookout and report anything suspiscious. Chuck reported that a new contract has been signed with the City of Chino for the Club meetings building. We gave away 9 cash prizes totalling $250 , and Greg Stockdale won the big $75 prize and Joni won the $36 50/50 Prize. 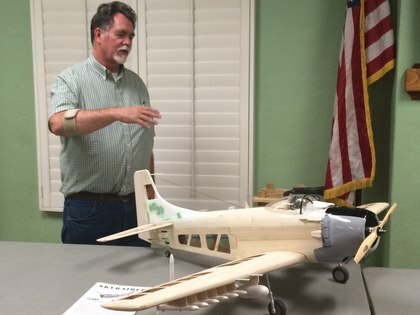 Randy Wilbur Brought in some Plastic models he bought from the Hobby People Close out and talked about how great they are for researchning scale details for RC planes. 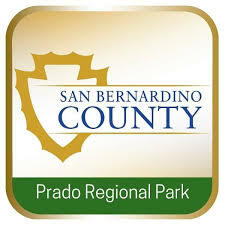 The San Bernardino County Parks Department is hosting a Mud Run at the Prado Park and surrounding area. They will be parking 1500 cars in the field North of the runway. For this reason, the field will be closed Saturday January 27, 2018 and Sunday January 28, 2018. There is no New information on the FAA front. Chuck talked to the tower, and they said that they did receive 2 calls from pilots asking permission to fly. The Tower cannot tell them they cannot fly, they can only advise them. The tower advised them that they were too close and should not fly there. Chuck asked the tower to forward them to the PVMAC, and we will encourage them to join the club. Steve Gamble has Stepped down from the board. The Club would like to thank Steve not only for for his help and support as a board member for the last 2.5 years, but also for his help and contuned support over the years. As long as I've been a member, Steve has alwasy been there lending a hand at the club events by manning the grill, setting up or tearing down and assisting at club meetings. John Maxwell was coerced asked by the board to Join the board in his place, and John Accepted, thank you John for stepping up. Jim Stout, another board member is moving to Texas in the next month. He is employed with Toyota, which is moving from Irvine to Plano Texas. We currently have 345 members, we received 2 new members that were kids, 16 and under which is great. The Barbwire fence is going to be fixed in lieu of fixing the potholes in the road. The Road will eventually be fixed, but the fence is the priority at the moment. Cal state Fullerton is coming down to the club to fly their experimental airplane on May 11th. The Professor is a member of the AMA and FAA. Chuck will be meeting with Chino PD this week to discuss some riot control training that they want to do on the property with CS gas. Board member Larry Marsh was hit with Ugly Stick…. Ted Novak’s Plane , the Ugly stick crash landed in the pits 2 feet away from Larry, hit His table, which took the wings off, and stopped short of the truck buy just a couple feet. 3 minutes later… Steve Berman almost crashed his plane into Larry also, missed him by just a few feet. Larry said to never turn your back to the runway, and keep your eyes and ears open, you never know what might come your way. George Pollards brought in his Top Flight Piper Arrow II, They had 2 versions, one with a stabilator and one with a T Tail. 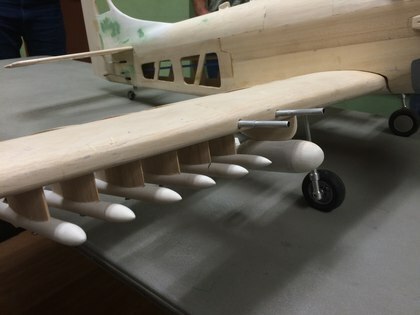 The tail control is all internal and very challenging to build. The landing gear are scale for that specific kit made by Robart. 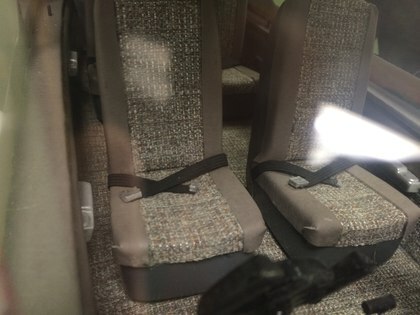 He added the cockpit kit, with carpet, upholstery, gauges and throttle. It has an 81” wingspan. It was planked and glassed by Steve Berman. 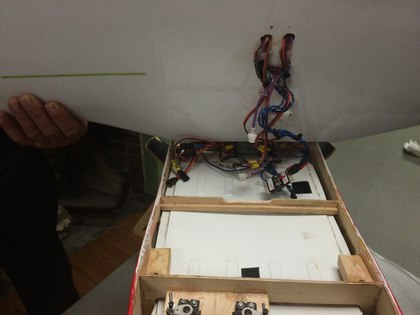 It weighs 18 lbs, it has 9 servos on a JR system. It doesn’t come with lighting, so that was added. It has a Saito 91 4 stroke which sounded underpowered to some, but George said this design flies off the wing, so never over power it and it will fly very scale. Mark Hibbert brought in a Global ARF Sky raider that he is doing a complete remodeling of-, that is he removed the film, added retracts, then added more details with exhaust pipes, Magnum 70. He flared the tail to be more scale using with floral foam and lightweight spackle. He also added missiles and bombs, with styrene. He relocated the tail wheel. Added air deflectors, radio gear, and he still adding more details. It weighs 6.5 lbs. He will cover it in coverite, lightweight primer and a camo water based paint, with a polyurethane finish. He has 6 months of building to do before it’s done.